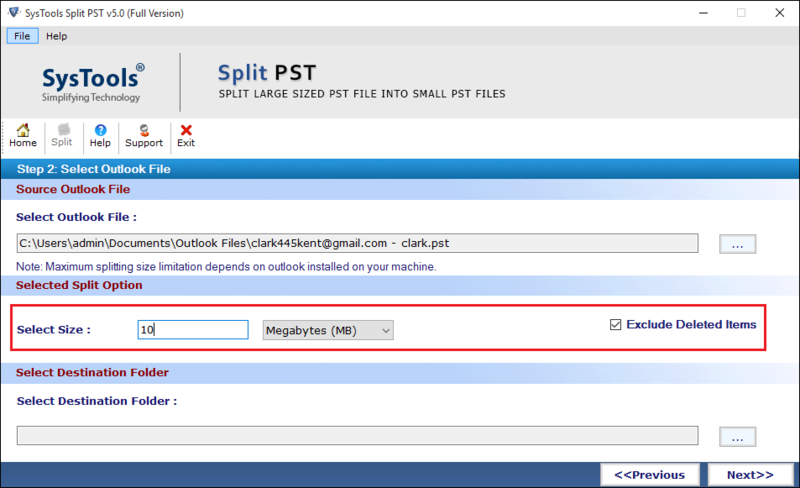 Select the MS Outlook format. Two types provided one is Ansi type and other is Unicode type. 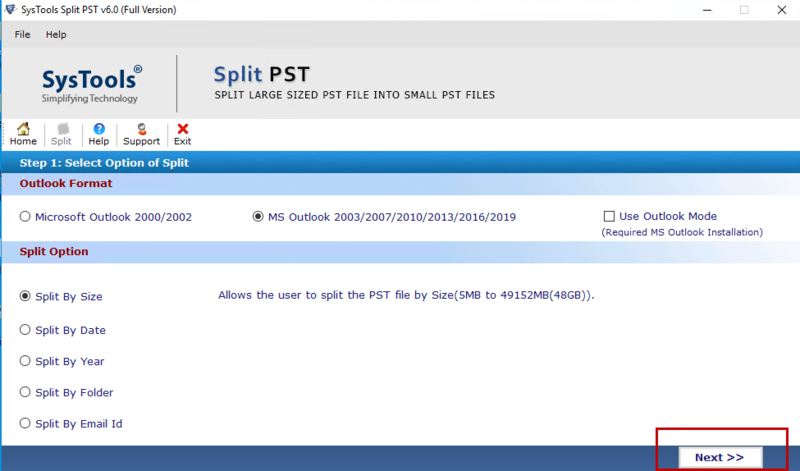 Select the size of PST file. 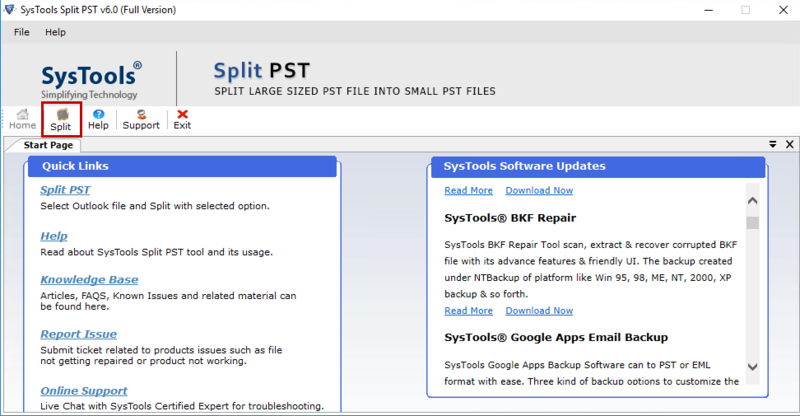 It should be separated & click on Browse button. 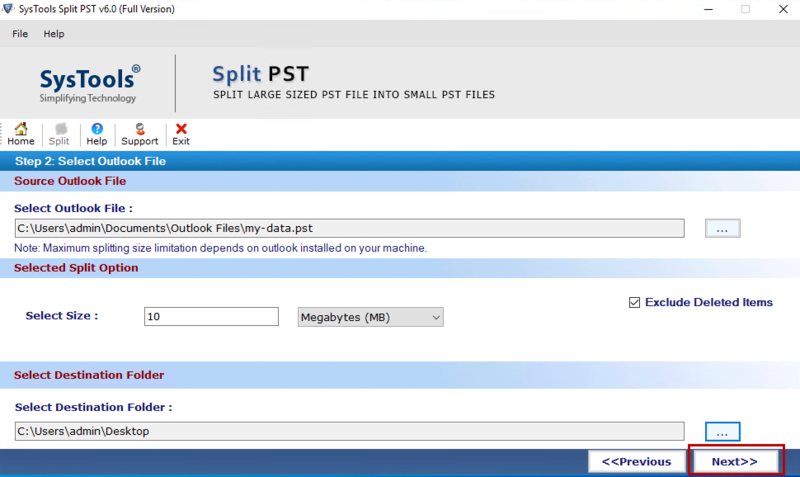 Now need to mention the PST file size between 5 MB to 1024 MB. 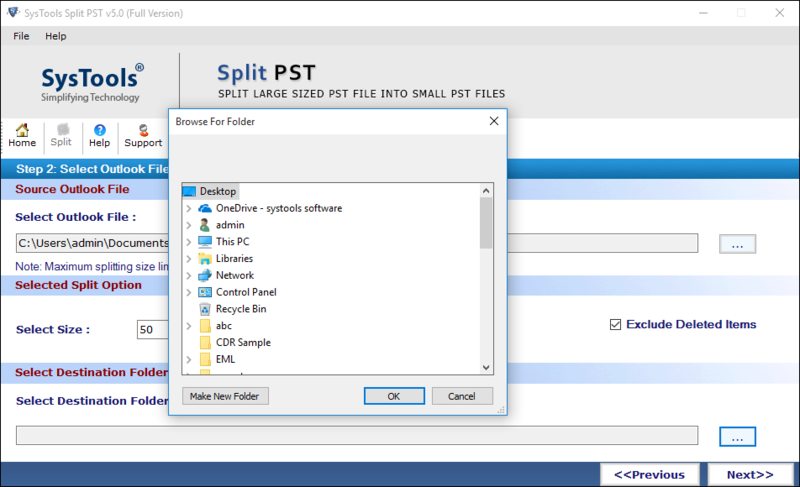 Choose the location to save the PST file and click on Next button. 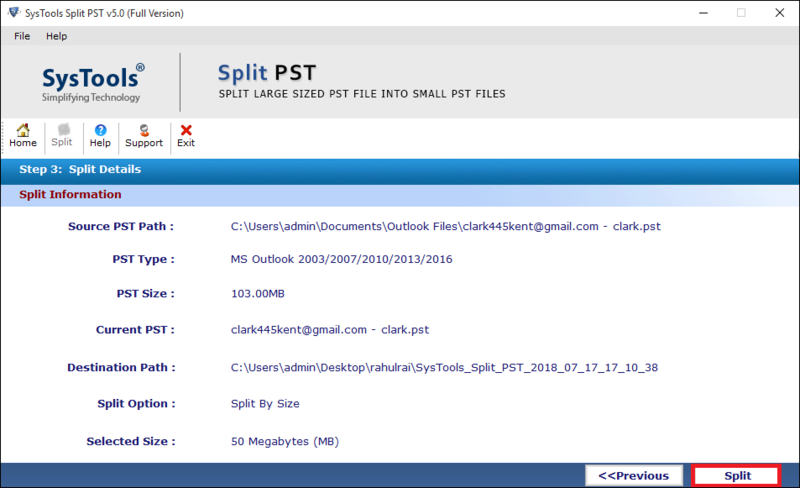 Then confirmed the detailed which displayed on screen and click on Split Button. 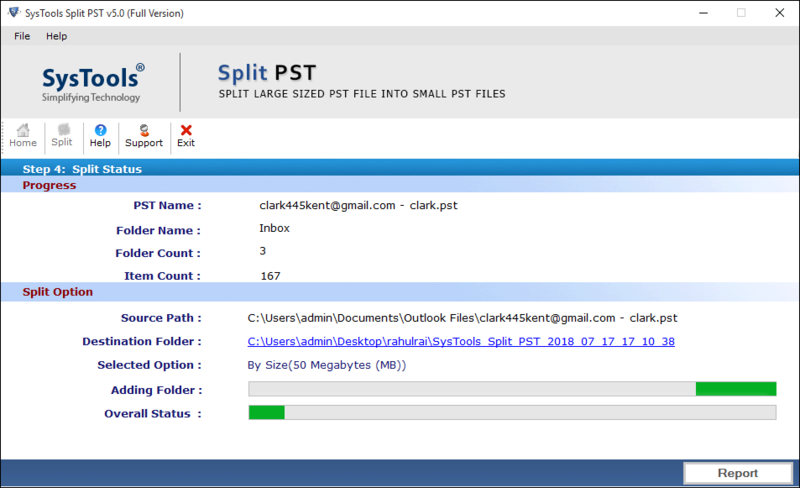 Current process details is displayed on the screen. At last display the successful completion message which showing on the screen with its desired location. Click on OK Button. 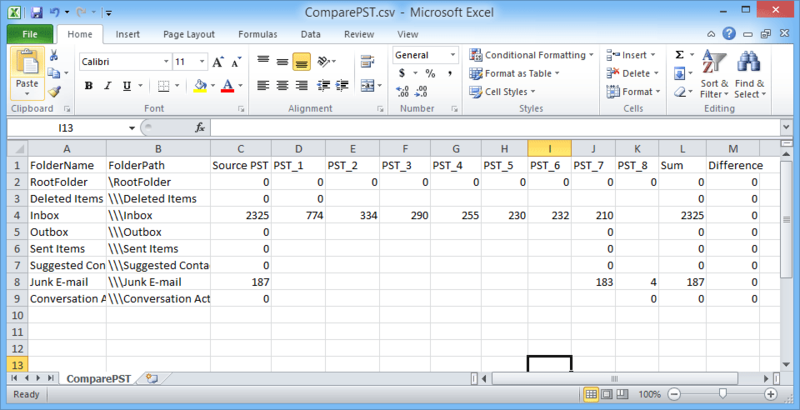 Now Comma Separated file is generated you can view the complete report of PST file. 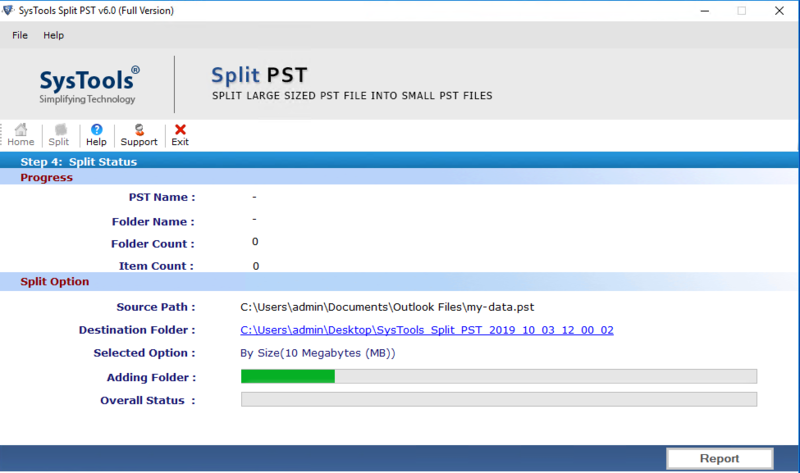 Choose the destination folder where you want to put the pst file.